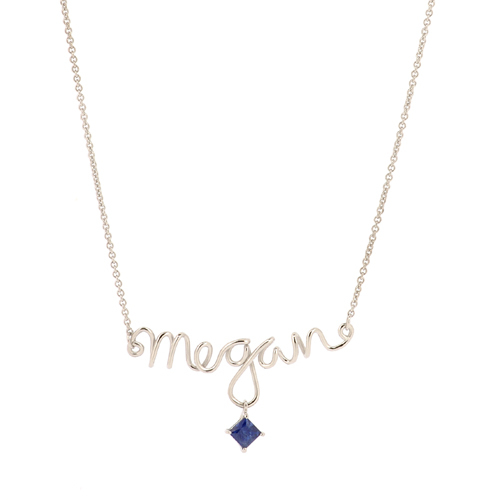 A custom set Blue Sapphire Birthstone added to a Goldilocks™ Necklace. 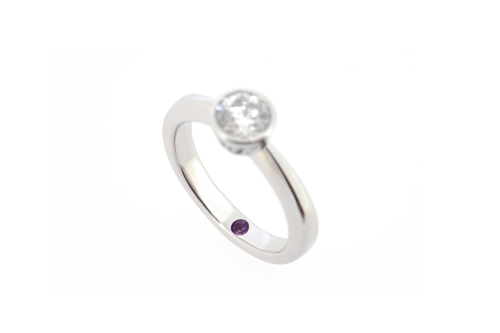 An Amethyst Birthstone hidden on the inside of the engagement ring – what a beautiful surprise! 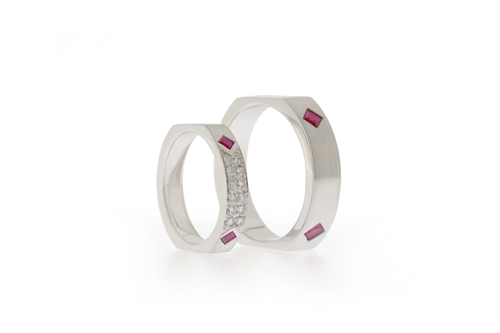 This couple happen to share a birthstone – so what better choice than Ruby Wedding Bands. A 60th Birthday present for mum – using the Birthstones of mother and son. 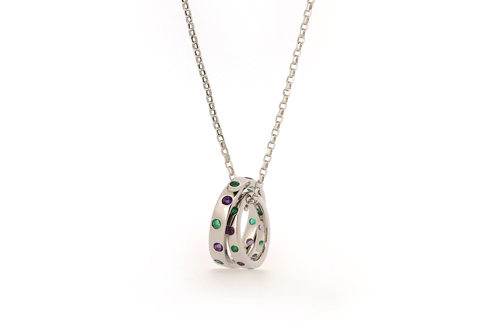 So many nice ways of incorporating birthstones into jewellery. And for you lucky girls of April, the Diamond is still your best friend!